A flooded basement is a major threat to the safety and hygiene of your home. Standing water in your basement can damage your foundation, cause mold and mildew growth, and ruin furnishings or stored items. Use these quick steps to safely remove water from your basement. A flooded basement is sometimes the byproduct of a damaged home exterior. Check the outside of your home for signs of deterioration before entering your basement; working in a structurally unsound environment can be dangerous. Storms and heavy rain can exploit weak parts of your home and cause flooding. Falling trees and tree limbs can also damage your exterior and create a wet basement. Additionally, storm-related destruction can affect power and gas lines. Call a pro immediately if you notice downed power lines or smell gas near your home. Electrical: Your home’s electrical master switch is located on your breaker box. Open the breaker box door and locate the master switch. Electrical mains are usually large switches above or below your breaker panels. Flip the switch to cut power to your home. In some cases, your breakers are located in the basement. Call your utility company and have them shut off the power to your home before crossing a flooded basement to flip your power main. Gas: Your gas main is usually on the outside of your home near your meter. Your main’s on-off valve is located on the incoming pipe (coming from the ground), but some newer models have the switch on the outgoing pipe. Most utility companies prefer professionals to turn your main on or off. Unless it’s an emergency, call a pro to shut off your gas. Open the windows in your basement and throughout your home to reduce odors and lower moisture levels. You can also rent fans and blowers to move air into your basement. Flood water will affect the balance of pressure between your basement’s interior and the surrounding soil. Removing all of the water in your basement at once can overwhelm your walls and cause them to crack and even collapse. Pump the water down several feet—or inches depending on the total depth of the water—and mark the height. Wait 24 hours and check the water line. If your mark is under water, it’s too early to pump. Wait another 24 hours, pump out the same amount of water and mark the level. Repeat these steps until the water level remains stable. Pump out small increments of water in 24-hour cycles until your basement is water-free. Remove all wet or water-damaged items in your basement. Use a shovel to scoop out mud, sediment and any other accumulation. Flood debris can cause health hazards and breed mold and mildew. Lastly, hose down your basement walls and flooring with a bleach-water mixture. Vents and filters are particularly vulnerable to moisture and can affect the health of your home, even after abatement. Replace moisture-affected filters immediately. Continuing to use water-damaged filters will reduce the efficiency of your home and potentially spread harmful mold and other contaminants. Mud and sediment can also accumulate in vents and block airflow. Remove any grates or vents and wash them in a bleach-water mixture before finalizing your cleaning. Unless you have experience draining flooded basements, it’s a good idea to hire an abatement pro. Flood professionals will ensure your home is moisture free, and they’ll also tackle additional problems like mold and mildew growth. 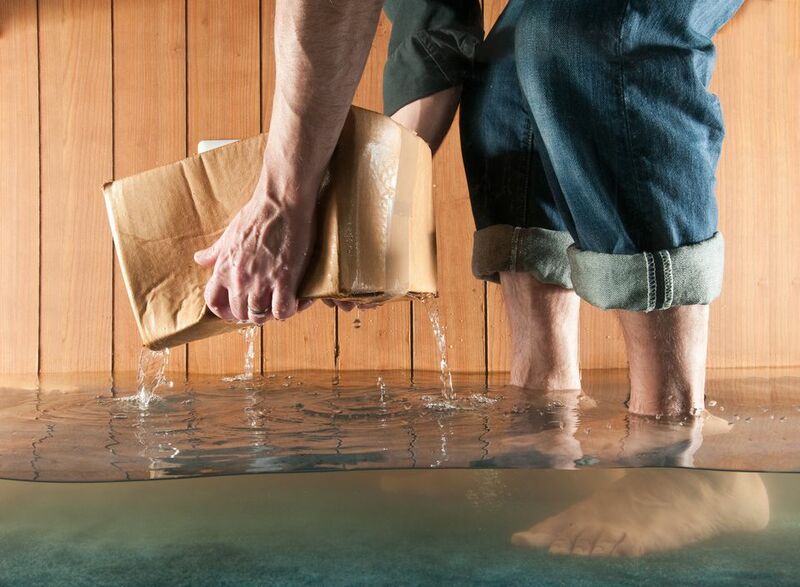 Flooded basements can result in harder-to-spot problems like damaged basement walls and flooring. Your pro will identify these issues and provide an appropriate solution.